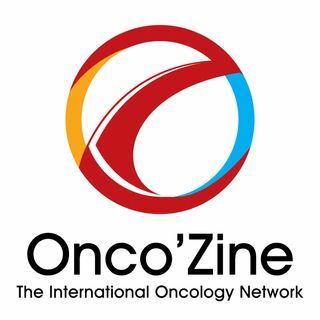 This week in The Onco’Zine Brief Peter Hofland and Sonia Portillo talk with experts in oncology about some of the results presented during the annual meeting for the American Society of Clinical Oncology, held in Chicago, Ill, June 1 - 5, 2018. The theme of this year’s ASCO conference is: Delivering Discoveries: Expanding the Reach of Precision Medicine. More than 40,000 people attended the meeting. Hofland and Portillo interview Robert Dreicer, MD, MS, MACP, FASCO, the Associate ... See More Director for Clinical Research and the Deputy Director of the University of Virginia Cancer Center. Dreicer shares his perspective on a highly-anticipated presentations dealing with racial disparities when treating black men and white men with advanced metastatic prostate cancer. incidence rates are 60% higher for black man, and they are more likely to be diagnosed at a younger age. In a second interview, Hofland and Portillo interview Jed Katzel, a medical oncologist at Kaiser Permanente in Santa Clara, CA., who is the senior author of this study. An analysis of cancer registry data from a hospital system in California revealed that women with head and neck cancer were less likely to receive intensive chemotherapy and radiation when compared to men. The findings from this study raise the possibility that women with head and neck cancer may be undertreated. In the final interview in today's program, Sonia Portillo talks with Kimberly Blackwell, MD, the vice president of early phase development and immune-oncology at Lilly Oncology. In this interview they talk about the results from 30 oral presentations, poster presentations and e-publications underscoring Lilly Oncology's focus on making a meaningful difference in the lives of people living with cancer through clinical development and collaboration. Portillo also ask Dr. Blackwell about the MONARCH studies presented by Lilly that evaluated a new drug to treat different patient subgroups of women diagnosed with metastatic breast cancer. Explaining the significance of these study results, Dr. Blackwell mentioned the company’s focus on understanding and serving the needs of women with disease characteristics that are typically associated with a less favorable prognosis, and how doctors can better understand these clinical characteristics – which may help them optimize treatment and treatment decisions for women with advanced disease. Finally Hofland and Portillo talk about an interactive exhibit and reception hosted by Lilly Oncology called: “Portraits of Resolve,” which provided doctors a unique perspectives of people living with cancer. Through words and pictures this unique exhibit reflects the experience of people living with cancer – what they look like, how they feel, who they are and what they are saying. The unyielding and often very determined spirit of the patient is the main theme throughout the exhibit.